Any organization managing physical assets in the field by sending a technician on-site for installation and maintenance services (POS, security, networks, electrical, digital displays, kiosks). BigWave is perfect for any organization that manages physical assets in the field by sending a technician on-site for installation and maintenance services (POS, security, networks, electrical, digital displays, kiosks). BigWave customers leverage information collected in their portal to improve cash flow with fast, automated, and accurate invoices. Pros: Bigwave's user interface is extremely easy to use and their multi-level approach allows users to see all the pertinent information and use all of the tools required for each specific role in a simple, easy to understand way. We are continually surprised at how fast our customers and technicians grasp the concepts. With everyone working within the same system communication is accurate and streamlined. Bigwave allows us to consistently provide a professional product and maintain a high service level across our portfolio. In most cases our competition relies on spreadsheets and scratchpads to stay organized while we rely on a system that is available at any time, from anywhere giving us a distinct advantage. Overall: Several years ago we were looking for a platform to manage our ongoing work across our company's national spread. We looked at many solutions but found that they would all require us to adjust our business models slightly to fit into their structure. When we found Bigwave, we recognized an inherent flexibility that would accommodate not only our national business practices but also the nuances found in each of our various regions and our varied customer base. The flexibility of the system allows us to make adjustments within the system based on project and customer specifics without making time consuming program changes or leaving the platform to work within a parallel spreadsheet/ system. Recommendations to other buyers: Over the five years of the business relationship, Bigwave has continued to add value to the system. Recent additions such as the invoicing and asset management components have allowed us to further streamline our workflow and bring additional ongoing value to our clients. Bigwave allows us to manage multiple projects, across multiple regions all with a relatively small team. This keeps our teams focussed and efficient without adding additional costly resources. Bigwave also allows a lesser experienced workforce the ability to manage more complex projects with less input from senior staff. Without Bigwave, we estimate, we would have to add approximately 25% more staff in order to maintain the standards our customers have come to expect from us. Pros: Flexibility. All in one platform. Web based. Exceptional functionality! Overall: We have been using Bigwave as our comprehensive service delivery platform for two years now and truly can't say enough about it. Centralised web based dispatch prevents double booking because I know that my techs and dispatch staff are working off of the same real-time schedule. 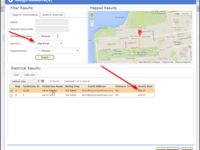 I can track the status of any work order with ease, searching by customer, site, technician, accounting info, etc.. The asset management provides versatile functionality for my larger customers. My tech's shine when they attend site with the right parts in hand every time, as they can dig into the all the necessary maintenance information for the equipment they are working on. 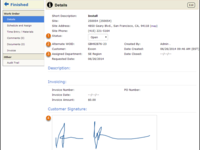 Flow-through from the work order to the invoicing allows us to invoice virtually on the spot. Transparent billing practice leads to satisfied, repeat customers. Big wave itself has proven to be everything we could hope for in a service delivery platform, but it's the service on the back end that has set them apart. They genuinely care about our business, how our office runs, providing insight and solutions that exceed our expectations. I would recommend them in a heart-beat. Thank you for helping us deliver top-shelf service Bigwave! Pros: We used this to manage the deployment of several major systems across the country. This application flawlessly performed its functions well. The customization was great and the customer support was impeccable. We had a large number of people accessing the system and with a wide range of skill sets and it took very little training to get them up to speed on the application flow . Cons: I don't really have any complaints about the system. It did it's job and it did it well. We did not have to bend our processes to accommodate the software too much and that was nice. Overall: We managed the Major Deployment of several Major computer systems roll outs across the country with this platform managing hundreds of installers and dozens of project managers all being completed on time and at budget. Pros: This software is much more user friendly now. When we first started using it back in '05 (I think) many refused to use it because it was not at all user friendly and consumed entirely too much time for what should have been simple tasks. This product is night and day different now. We use it on a daily basis now for everything project related. Cons: can be a little complex at times. Overall: BigWave has been a tool we have used for years now. They have features that effectively manage our deployment installers and our deployment projects. 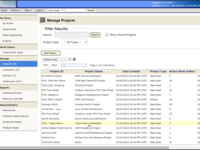 It manages multiple projects simultaneously allowing our project managers to be more effective. Big Wave helps us get the job done right and the first time. The Support staff is excellent to work with always willing to go the extra mile to fix any issues that may arise. BigWave is one of the best vendors I have had the pleasure of working with. Overall: This is a great tool for tracking all my project data, scheduling, assignments, custom fields for site specific information. So many features and functionality to keep all your information in one place. Love the alerts, status, import/export features, etc. Very ease to use for ourselves, customer and partners! Pros: The global calendar for scheduling considerations, the ability to upload and share documents, ability to track site status for projects. Cons: The biggest challenge is the inability to lock down data which is entered. This would be nice to have to avoid anyone going back into project custom fields and changing data in error. Overall: Tracking project statuses, documentation, and scheduling. Pros: The history it creates and the ease of searching the same. Cons: Being web-based, can't access if internet down. Overall: I've been working with this program for over 5 years now and I love it, especially for the history that we've been able to create at site and project levels. 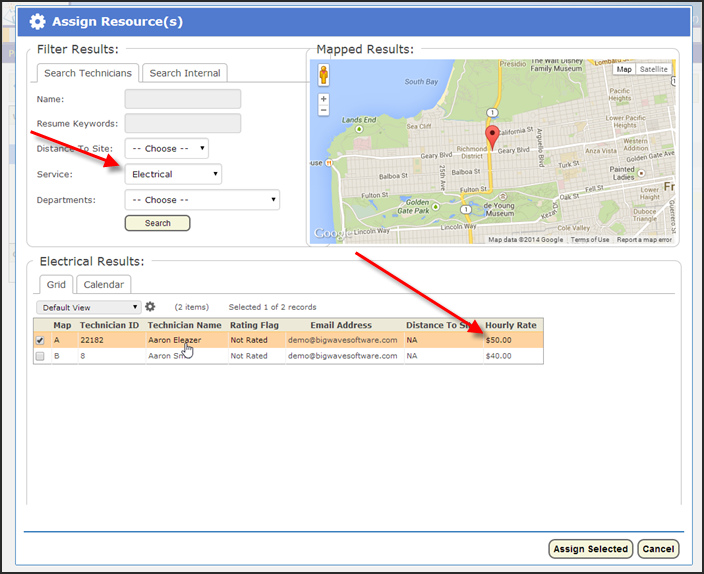 Very easy to use, to train for use and great for report generating. Pros: The ability to customize BigWave on the fly gives us flexibility and scalability that isn't found elsewhere. Overall: We use BigWave to manage the service operations for our customers across over 25,000 locations. BigWave is a flexible, easy, and valuable tool, and is a critical component of our success. Pros: Real Time and ease of use. Overall: I use Big Wave to keep track real time on hundreds and hundreds of work orders. There is no point during the day that I DONT have Big Wave on one of my monitors. Pros: Real time updates and how easy invoicing is! Cons: Sometimes I find the importing and exporting confusing, but I don't think that is the software's issue, but more of a personal issue. Overall: I use this program every day and love it! I wouldn't be able to do my job so efficiently without it. It is just WONDERFUL! Have used Big Wave for several deployment projects. Pros: Very good for site/system migrations. Very nice reporting and dashboards. I like being able to see information per site and rolls up. Cons: Product is hard to use for other types of projects. Would like to be able to customized and taylor software for use with other type projects. 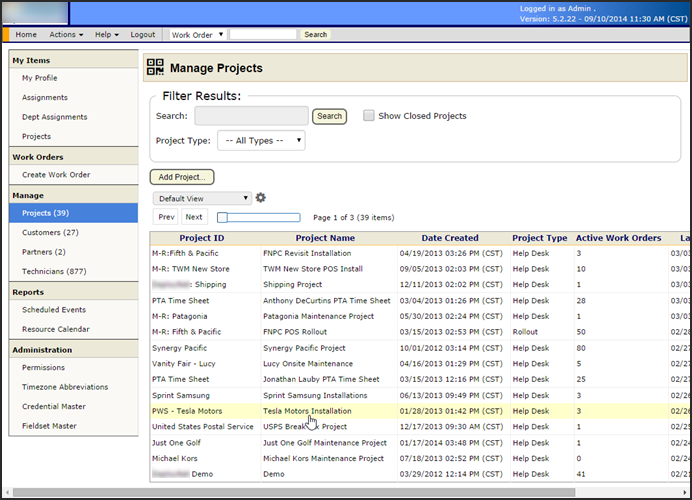 Overall: This system is great when working with multiple partners on a single project. It allows for the input of all necessary information in one space. I would recommend this system. Pros: Reporting is awesome when your looking for specific project details. Providing the ability to view the Standard Metrics and billing information. I would like to understand why we need to put in the minutes as opposed to hours in the Standard metrics. Is this due to the way we requested to have it set up or is it the standard? Cons: It can be a little cumbersome when adding multiple images. When adding multiple images at times it freezes and does not take all of the images and I will need to add them in portions. This happens while dragging and dropping the files into Big Wave. Pros: BigWave has been very accommodating to all our requests for information, additions to the system, etc. They are always looking for how to make the system more usable for all customers. The software fits what we are completing currently. Cons: We would like to see the technician section expand with more details (i.e.-tech prices, regions, etc). Another thing is that you are unable to replicate a project. There are only certain fields that you are able to import and export to create a new project; everything else has to be completed manually. We do not like that there are limited seats as well. Recommendations to other buyers: Make sure they have a complete understanding on how to use the system. Comments: I have been using Big Wave for just over a year now in my position as a Deployment Project Manager for Pomeroy. Honestly, of the various programs we use, Big Wave stands alone when it comes to consistently working correctly. It has never been "down", it has been easy for me to use from day one, and more importantly it is easy to show new people how to use. It has never taken me longer than 20 minutes a week to set up the work orders I have to get out to my technicians. One of the greatest things I can say about Big Wave is that I have never been using it and had to say "Uh Oh, I have never seen that happen before". It just works right all of the time. Cons: Scrolling. It doesn't allow you to view all the data at a glance. I have to drill down to capture all the information needed. Comments: BigWave has been a primary tool that our Project Managers, Solution Engineers and Customers use on a daily basis. From scheduling techs, uploading deliverables, documenting comments and tracking issues, it is one tool we cannot go without. My experience working with John Livermore customizing this portal has always been appreciated. A friendly piece of software that inspired confidence in the time table. Comments: Prior to a fairly large and mission critical roll out for a customer they wanted our opinion on a piece of software that would allow this to be a collaborative effort. After going into a short testing phase we found the breadth of what BigWave encompasses to be exactly what we needed. We'd heartily recommend this application. Comments: I am a Deployment Pricing Manager that solutions projects that are typically managed with the use of BigWave. Great advantages of the system include scheduling coordination and it serves as a repository for project deliverables. Comments: I think BigWave is very efficient and user friendly. I am able to move around BigWave with very much ease and it is very accommodating. Comments: This is a big tool in tracking projects and is very helpful with its real time updates and ease of use for a large bunch of people. Comments: I love BigWave. It is very user friendly and I can move around BigWave with much ease and very little difficulty! Comments: Very user friendly program. The customizations available are the major strength of this program. Excellent! Comments: I have had no issues with Big Wave. I use it mainly for informational purposes. Overall experience is good. Comments: The tool has been very helpful for my projects in providing a flexible view that can be used by all involved. Comments: Great Product with a superior customer support team. Easy to Use features throughout. Highly recommend. 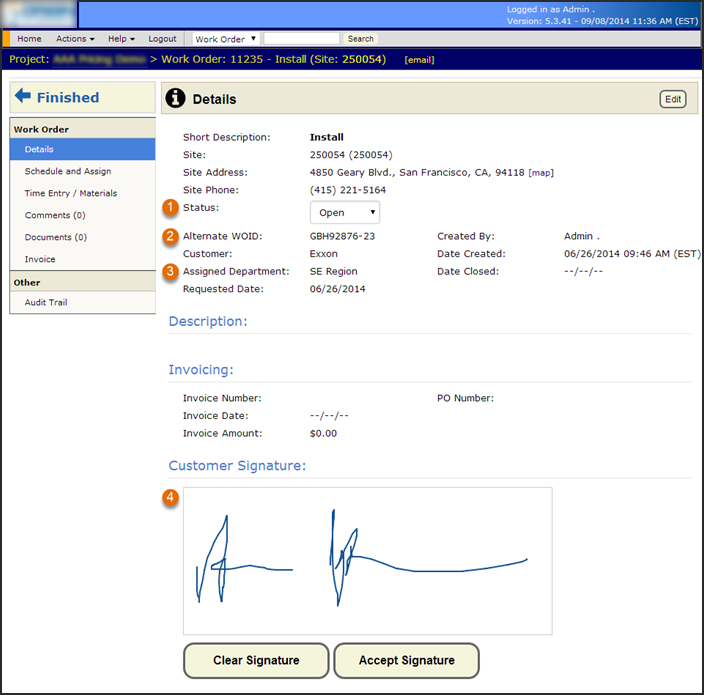 Comments: Big Wave offers customizable, user friendly and intuitive software with first class support. Easy to Understand and Naviagte!. Pros: Easy to understand & easy to read. Overall: Clean, sleek, very bright and crisp! The site is very easy to read and very easy to navigate. When I click on "Expenses", it shows me expenses in chronological order and shows me what has been paid. From the Dashboard, I can sort by date, sort by provider/merchant, sort by cost....filtering is simple! I like it when I click on a tab and the information I am looking for is presented in a very understandable way.